6-Bulb LED Solar/Handcrank Lantern | BUDK.com - Knives & Swords At The Lowest Prices! Never find yourself in the dark again! This LED Lantern is powered with just one minute of hand cranking, giving you up to 20 minutes of light. You can also charge the lantern with the solar cells on the top of the lantern, by leaving your lantern in the sun all day. 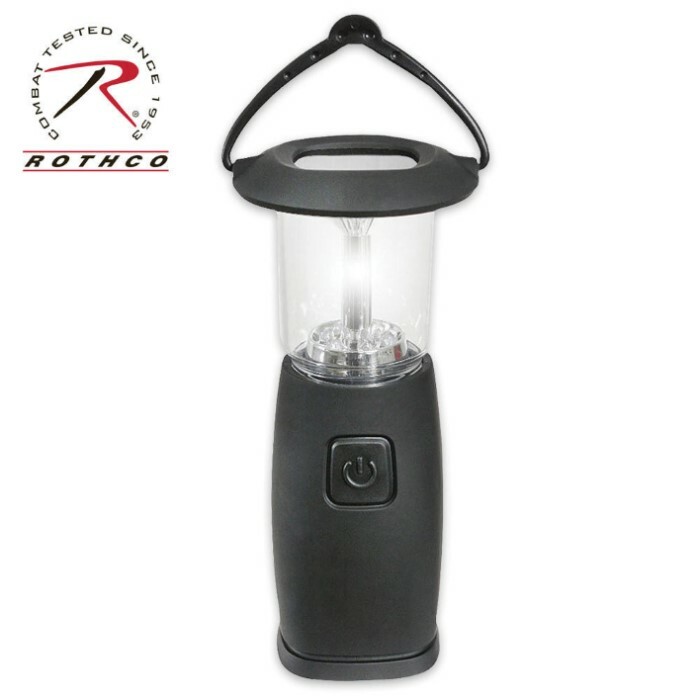 Constructed of ABS with six LED bulbs, this lantern is extremely durable.